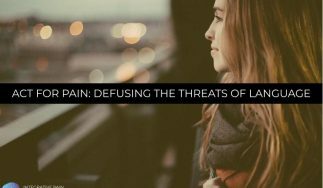 In this episode, we’re going to explore another patient perspective as what it’s like to develop pain, to live with chronic pain and to eventually oercome chronic pain. I have the great pleasure to introduce you to Barbara. Barbara is a retired school teacher who developed chronic pain and has searched and searched for a diagnosis. She’s seen almost every practitioner under the sun and has had a laundry list of treatment recommendations provided to her on her quest for living a pain-free life. Barbara is someone I met through my online pain education program called Heal Your Pain, Heal Your Life, as well as we have worked offline with regards to helping her negotiate how to live her life beyond pain. 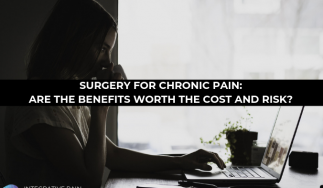 I wanted to give Barbara an opportunity to share her story with you because I know that her story echoes so many of those who have been searching for answers for the chronic pain. 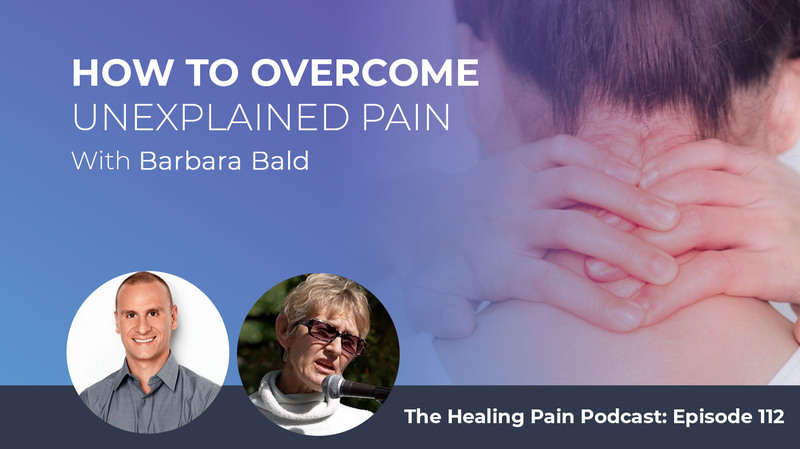 On this episode, Barbara explains the various tests as well as treatments that she has had and more importantly, the steps she has taken to live a rich and full life despite having some pain present. What I love most about Barbara is that she’s humble. Humility is a quality that I feel is in short supply these days, which is why I’m so excited to share her with all of you. Barbara has found that delicate balance of nurturing and taking care for herself as well as having enough energy leftover to nurture and take care for others in need. Barbara and I spoke about this toward the end of the podcast, but I wanted to take a moment now and make sure to mention it and give Barbara the credit that she deserves. Throughout all of her life’s stress, throughout all of her chronic pain and her struggles, Barbara has found the free time to dedicate herself to volunteering in a nursing home. To help take care of people and support others who are in need. That’s why I find Barbara so special and that’s why I wanted to share her story with you. Let’s meet Barbara. Barbara, welcome to the show. It’s such a pleasure to have you here. I hope you’re well, Dr. Joe. I am well and I know you are too. I gave you a great introduction, so the audience knows that you’re a client of mine, we’ve worked together on the chronic pain that you’ve had. We’re going to talk about your pain story, what you’ve been through and how you’ve been able to make some breakthroughs. Let’s start out here because we have a lot to talk about. Take our audience back to the moment in time where you realized that you weren’t feeling so well and things were feeling unpleasant in your life and what that was like. I had a normal childhood and I went to school and went to college and all of that. When you’re busy, you don’t focus on what’s going on in your body too much. Then I got out and got a decent job that I loved. It was around 1975 that I realized my muscles were always hurting, particularly the joints. I started snooping to see what was going on. I went to different doctors and things started to escalate. I was diagnosed with an ovarian cyst and then I had osteopenia, osteoporosis and food allergies. At least, that was the explanation for the pain that I had food allergies. I did a lot of testing around that. I came back allergic to almost everything. Then there were hormone imbalances. It was one thing after another. There was ankylosing spondylitis thrown in there and you can take this painkiller. I wasn’t much for taking painkillers. I sought out naturopaths, one of which gave up on me. They gave me supplements but they didn’t work. Now that I’m looking back, I’m feeling there was a whole way of being that was behind the pain continuing, like we were chasing shadows. By that, I meant everybody wanted to fix the symptoms and I was the number one who wanted to fix the symptoms and I wasn’t asking, “Am I doing anything that’s making it worse? Is there anything I can do to make it better in my lifestyle or in my thinking?” That was not in the forefront. I just knew supplements. As I look back, I’m saying now I did an awful lot of things “wrong” but I know that I was doing the best I could at the time. I had a lot of very stressful things happening. I lost a job. I got divorced. I got another job teaching school. I taught school for 22 years. Sixth-graders are not the easiest folks in the pond to reach. I noticed that the pain was getting worse and worse and there was no solution. Nothing was fixing it. Stress happens to people but what you do with it is the most important thing. Then I got Lyme disease in 2013. It was like I’m feeling beaten with a stick. I couldn’t raise my arms to put dishes in the sink. I couldn’t put a coat on, then I was treated for Lyme. You get pretty discouraged. I’m very hopeless about everything but still I’m not getting to the point of questioning, “Is there anything that I am doing that might be contributing to the intensity of the pain?” In 2016, I started going online because online didn’t exist before. Because I wasn’t getting any answers, I decided to do some snooping and then came across a lot of different podcasts that talked about autoimmunity, they talked about leaky gut. They talked about the importance of sleep, exercise and nutrition. Then I started doing those things. I was beginning to realize that stress happens to people but what I do with that is the most important thing, adding to or subtracting from the discomfort I have. Stress happens and we know that there’s an intimate connection between stress and pain. When you can buffer your stress or manage your stress or alleviate your stress in some ways, oftentimes that it helps with the pain. You gave us a great introduction into a little bit of your history and what you’ve been through. You said something at the beginning that I want to spend a moment or two on and that was the chasing shadows. You and I have spoken in depth because we’ve worked together. That every time you looked down an alley, every time you went for a search, that there was another shadow, another demon that was there to try to hold onto. As you know, shadows slip through your fingers and you can’t grab them. Take us through all the things that you’ve tried to stop and alleviate the pain. I also want to make clear that pain isn’t just physical for me. I had a great deal of anxiety with the Lyme disease that takes over your whole body. That’s not exactly physical pain but I may not tell you, it’s so awful. Then that total discouragement is another kind of pain. I went to naturopaths, chiropractors. I did acupuncture, acupressure, Rolfing, Feldenkrais, Trager and just about everything. I did expect that they would “cure” me. Each time they would give a little temporary relief. I’d feel a little bit better for a little while and then the pain would be there again or something else. I’ve now come to the point where I realized I do still need some of those, particularly when I’m in a flare state, but I don’t expect them to cure me anymore. I see them more now as a way of nurturing myself. Somebody touching my body, somebody moving a little energy, but I don’t expect to come home and never be painful again. You did mention that some of these worked temporarily but they didn’t provide any long-term solution. A lot of people with chronic pain get caught in the same chapter you were where they’re trying all sorts of things. The worst-case scenario of that are people who are on opioids. You were not on opioids but you did look to supplements for a while. How many different types of supplements have you tried? I’m still on a lot of supplements. You and I worked together to try to weed some of those down and I have to admit that I did go back to some. Part of the problem is supplements come with a lot of things in one bottle, which is what you’re trying to accomplish. Take one pill that has multiple things but because I tend to be sensitive, my body knows right away the minute you put something else into it. I’m still finagling with that to try to weed out some of the supplements. Some of them are vitamins and some of them are natural anti-inflams. There are still too many of them. Some are important for health like Omega-3 fatty acids are wonderful things. They’re very anti-inflammatory but you did realize at some point that they weren’t the long-term solution. I think if you forced me, get me down to probably four but that’s not where I am now. One of our goals was five so that’s fine. You’re still taking action and working in that direction. You tried a lot of different types of practitioners, a lot of different types of treatment, supplements and different diets. I’m still pretty strict with my diet now. I believe in the gut healing part because once it seems that happened to me, at least that’s my explanation, the allergies are gone. The food sensitivities are not there anymore. I did food allergy testing and then I did the leaf diet and all kinds of things. Something helped. If you had a mental list in your head or maybe even a list on paper of all those things that you tried that only worked in the short-term, what would you say it costs you to go through that entire process of trial and error and all those things? Pain is just a signal that is telling you pay attention somewhere. I know that the naturopath alone was between $9,000 and $11,000 a year. That doesn’t count the Feldenkrais or the bodywork or anything like that. That could be another $20,000 a year. There’s the financial cost of going through that trial and error. Then going from appointment to appointment. What I learned about myself was I never realized how obsessive I was because I’m a bit of a perfectionist. Also, as much as functional medicine helped me find tests that would help me figure certain things out like I’ve found that I had some infections in my gut and some supplements that were missing. Those were very helpful but what functional medicine, unfortunately, got me into was find the root cause and being the obsessive person and the perfectionist that I am, I kept going down further and further. Then getting more and more frustrated with not finding a root cause. I’m in a place now where I’m saying, “There are probably six root causes, but I can’t keep going there.” I’m 71 so I don’t have the time left. What you bring up is an important point. If I had to take you back to the moment where you had spent a lot of money and you had spent a lot of time. You were feeling discouraged because you were trying these things that are working short-term but they’re not working long-term. If I had a hidden camera in your living room and we can look at you at that moment where you figure out maybe there’s no root cause. What was that like? It was more like maybe I’m the root cause. That may sound strange but when I say I, my brain, my thinking, my beliefs, were definitely exacerbating everything and maybe even driving it. I’m not completely pain-free now but when it comes, I don’t get so crazy about it. There have been pieces. The awareness has come a little bit at a time. It comes from the webinars, different programs and then your program, Heal Your Pain, Heal Your Life. What I liked about that was you highlighted everything. I had already been doing nutrition but I wasn’t doing the exercises and I certainly wasn’t being mindful. That was the first, “Maybe there’s something about my thinking.” I’m not exactly sure why but I always tend to look at what was wrong and what was missing. I used to laugh at myself and say I’m the queen of loss and there were seemed to be no reason for that. I don’t have cancer. There are many people that are so ill but I went to what wasn’t enough, the glass was always half-empty. I was beginning to watch myself do that and get discouraged with that like, “Why am I doing that?” It ruined all my joy. I would smile at something and in a second, I would twist it to something negative. You can imagine my view of looking at my pain and it would never occur to me that pain was a signal. It’s actually telling you something, “Pay attention here.” As I look back, I wasn’t paying attention to an awful lot. I was just trying to fix it. I understand now that we all want to fix it but in a way, fixing it is a way of resisting it as well. It’s not being with it and asking what’s going on here? Am I contributing anything to it? What do I do now that it’s here? I’ve completely shifted. Your second program was an eye-opener to me. I just had no idea. Now I could draw a line. I can say, “Beliefs lead to thoughts, thoughts lead to emotions, emotions lead to actions. If you do it long enough, you’re now in a pattern of habits and now it’s your whole life.” Then there’s a chemical feedback loop inside you that keeps everything going, the cortisol changes, the stress hormones. With that awareness, I’m careful of where’s my head now. What am I thinking? Am I in the present or am I catastrophizing? What if this happens? This might be this. I have to be vigilant all the time but I’m grateful to have that awareness. I have to say you spend a massive amount of time going through the steps of figuring out what is it. What’s going to work? Can I try this? You’ve tried everything. Everything you did makes perfect sense. It’s something that every single person would do if they’re in your circumstance. However, the one thing that sticks out to me, and you have said it beautifully is that, “The resistance to the pain was probably my biggest problem.” Once you start to open up to that resistance and crack the door a little bit and allow some of the unpleasantness you were feeling to be there, then things started to change for you. Once you start to notice that there were thoughts along with the physical pain in your body, that’s when it starts to change. What I found was that the resistance wasn’t against the pain. The resistance was, “My classroom wasn’t good enough. My mother wasn’t good enough. I’m not good enough.” There was a resistance of, “It’s raining now.” I’m not saying I didn’t enjoy being alive, I love life. I realized that I’d kept focusing on all the things that I didn’t want to be there like a spoiled little child having a tantrum. The resistance carries an angst with it. What I mean by that is there’s a passion behind it. There’s an energy in it and an emotion behind it that says, “I don’t want this. Go away.” I’m learning now to back up from that and say, “Here it is,” in every aspect of my life and that is making life easier. Whether it’s a friend who is a little squirrelly, I just said, “That’s who she is or that’s not my circus, not my monkeys.” I’m learning to back away before I get to that point where I’m resisting, including pain. The other thing I learned from your program is part of the obsessiveness that I have to get things to be right or what’s the right answer? I learned that there isn’t any. There isn’t necessarily a right answer. There’s an answer that’s may be the best one for the moment then there are consequences. Whatever happens, I’m strong enough to deal with those consequences. You taught me pacing, I don’t pace myself. I’ll get going. I had a situation with a mold in the house. I pushed myself six hours a day. I’m realizing I can’t do that now or I’m going to be in pain. Whether that’s because of my age, whether it’s because of leftover this or that, it doesn’t matter. I can’t be that obsessive anymore. Small steps are oftentimes big leaps. I can’t watch webinars for six hours. I can’t clean my house for four hours. I need to love myself by being gentle and patient. This is how subtle it is. I go to the grocery store and I love chocolate and sweets and things. I’d go down the aisle and you’d hear these blue light specials on this or that and I’d think, “I can’t eat that. I can’t eat that either.” Do you see how awful it is? Now I go through and I go, “No, I don’t want that. I’m loving myself enough that I’m choosing not to eat that.” Yet, a few times a week I’ll have a treat. I can’t tolerate sugar at all. I do protein bars that have minimal sugar and I paste them out. It’s the thinking that changed. I don’t want to do a six-hour workshop anymore for somebody and all kinds of equipment to do it. I sure would like to do something. I work at a nursing home. I volunteer there and I still am thinking of setting up some poetry workshops, which is one of the loves of my life. I’m trying to be more present when my cat is sitting on my lap instead of him being a distraction, “Go away, I’m working.” I’m looking at his ears and his fur and receiving his love instead of pushing to work. You see I’m a little backward from people with pain who feel they can’t do anything. I have to back down a little, especially if there’s a flaring. You’ve learned to pace your activities. Although things have started to come back into your life again. Poetry has come back. You realize how important it was for you to volunteer at the nursing home. You and I talked about that in depth. Once you created space for some of this unpleasantness, whether it was the physical pain in your body, whether it was feelings of anxiety. Once you said, “I can carry this as well as do other things,” then life starts to build back for you. The pacing for me was I didn’t realize the depth of self-love and what that means. That means the whole ball of wax. It means Barbara who’s able to snowshoe and Barbara who’s not able to snowshoe. As I work with older people, I can see I’m moving in that direction. It’s inevitable but there are people I admire who were in their 90s and still care who wins the race and who’s going to be voted in? At 99, I have a friend who can’t see the TV anymore. He can barely hear anymore but he’s concerned that the people in his nursing home who are serving him, all the aids, that they have a decent pay. Who in 99 cares that the people who are helping them have a decent pay? He’s teaching me that I can be in discomfort and still do what’s important for me to do. I know it’s hard for whose pain is really severe. I’ve had the luxury of it ebbing and flowing. It comes and goes. It’s strong then it’s not strong but everyday pain. That’s a real challenge. You have to be even more vigilant if that’s your situation. How can you be gentle? How can you be loving? Are you worth it underneath? Do you feel you are or not? What would you say to someone who’s reading this episode who doesn’t know which direction they should go in? They’re not sure, “Should I try diet first? Should I try nutrition? Should I work on noticing some of these unpleasant thoughts that I have?” What would your advice be to them? It’s awful lonely doing it alone with a lot of blind alleys. Your program was a godsend and I enjoyed doing it with a small group. I did another rather long-winded program, that was very helpful as well but it was big. What I liked about our program together was that it was just a small group, maybe ten people and we could see each other and bolster each other. I would say to them, if they can’t get involved in your program, at least try your book. Your book has a very large scope. Then maybe single out one place to start because you can’t do it all at once. I found that I needed the direction. If some audience were thinking that they identify at all with my beliefs or my thoughts, I don’t know if you’re even offering the reverse pain program but that one was life-changing for me. Now you’re not there anymore so I asked to continue on but I’ve learned I’ve got some tools. The program came to an end for you but now you have all these tools to move forward with. You’ve rediscovered, there’s volunteering, there’s teaching some seminar and there is writing poetry. You write beautiful poetry by the way. In the Facebook group for the program, oftentimes Barbara pops in a piece of poetry or she will email me a piece of her poetry and I’ll put it in there because it’s beautifully written. It’s so succinct about pain, what people think about pain and how you can overcome it. Even things like start to open up where people come more creative because you’re not so narrowly focused on how can pain has to be managed, pain has to be controlled. I’m stuck in this pain, when I started to open up, other things opened up with it. Barbara, it’s always nice to see you. I appreciate you sharing your story with everybody because as unique as your story is, all of our pain stories are unique, but there are certain little seeds in there that people can hear in themselves. Just by you talking about it, people are going to start to make some breakthroughs. The key is that you get a hit somehow when you listen to people and you’ll say, “Maybe I do that.” You begin to identify with different pieces of it. When you feel that hit, that’s one place to start. We do that with poetry. When you write, you get a little twinge or something that says, “There’s something under that.” We begin to snoop that avenue well. I hope it’s been helpful. The biggest thing seems to be the resistance, watching and being mindful, “What am I doing that’s helping or hurting?” While you’re snooping out other avenues, it’s not that you don’t do anything, it’s you did something but it seems to have to be balanced with, “What am I contributing to it? Am I helping? Am I hurting? What could I be doing?” I love music for instance. I try to go weekly to some house concert or somewhere to get a hit. It’s like adrenaline and it picks me up. I try to find that peace to keep the pain in balance. There’s that place where you dropped the struggle. You dropped the need or the desire to want to smash that pain into a million pieces. It’s a powder that you can no longer see or feel and then you start going back to the things that you enjoy in your life. I’m a controller. Having to let go of control is huge. It’s not easy. Barbara, I have so much gratitude for you to hop on and do this and to share your story and to share your entire experience of what it’s been like. I have so much gratitude. I love you and thank you so much for doing that. I hope you’re there to help million other people. We are working on it together. We’re all waiting for your next program. I want to thank Barbara for being on the podcast. Please take the time to share this with your friends and family. 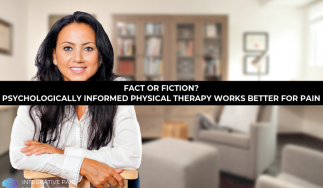 I’ve had on hundreds of physical therapists, psychologists, physicians and all sorts of practitioners, but there are so many important pieces that you can learn from a patient’s story. Share it with your friends and family on Facebook. Make sure you sign up for the podcast each week at DrJoeTatta.com/podcasts so I can send the new podcast in your inbox each week. I have so much gratitude for Barbara for being here. We’ll see you all next week. Writing since the age of twelve, Barbara Bald has always been enamored by the music of words and awed by how they combine to create images in the mind and stir the heart. For ten summers, she attended the Frost Place Poetry Festival in Franconia, NH, and worked at the museum for several summers. Barbara was a science educator for middle school students for twenty-two years. She also worked for NHPTV in the area of instructional television. She was a counselor and a teacher of life education. Presently she is a free-lance writer and offers integrative enrichment opportunities for both children and adults. Barbara has a passion for the wilderness and animals; in fact for many years she lived with her dogs, cat and fish in a riverside cabin without power or plumbing for three months of the year. She hikes, kayaks, snowshoes, tracks animals and writes her best poetry in the forest. Her poems have been published in a variety of anthologies: The Other Side of Sorrow, The 2008 and 2010 Poets’ Guide to New Hampshire and For Loving Precious Beast. They have appeared in the The Northern New England Review, Avocet, Off the Coast and in multiple issues of The Poetry Society of New Hampshire’s publication: The Poets’ Touchstone. Her work has been recognized in both national and local contests including the Rochester Poet Laureate Contest, Lisbon’s Fall Festival of Art Contest, Conway Library’s Annual Contest, Goodwin Library’s Annual Contest and The Poetry Society of New Hampshire’s National and Member Contests. Her new full-length book is called Drive-Through Window. Intrigued by inter-species connections, she recently fulfilled her dream of swimming with manatees and looks forward to visiting Alaska when brown bears are feeding on salmon. Barbara lives in Alton, NH with her dog Hannah, cat Catcher, a Siamese fighting fish and a tank of Madagascar hissing cockroaches.